The above image is from my local newspaper. It's hard to explain to a fan of the new series, or to someone from the UK, just how exciting and strange it was to see an ad for Doctor Who in the newspaper and on mainstream TV. 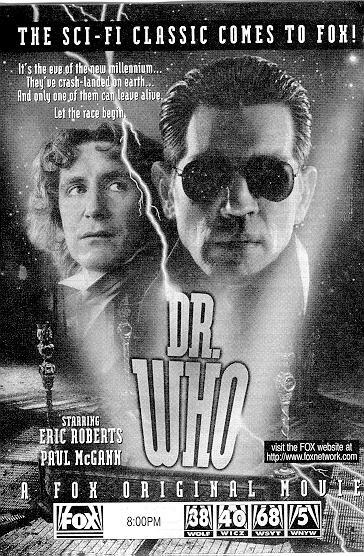 While the movie proved to be something of a let-down (especially in light of the fact it didn't lead to a new series) the performance of Paul McGann as the eighth Doctor was superb, and the months leading up to the broadcast were very exciting.